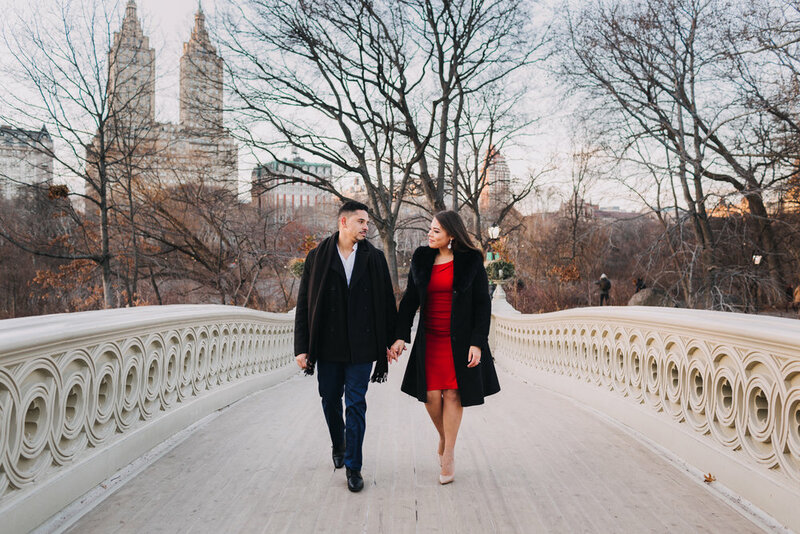 A winter engagement session paired with a red dress, navy suit and some wine? Perfect! It's not every day that a client is totally excited about shooting in 20 degree weather in Central Park... Yes, it was freezing but boy, was it worth it! 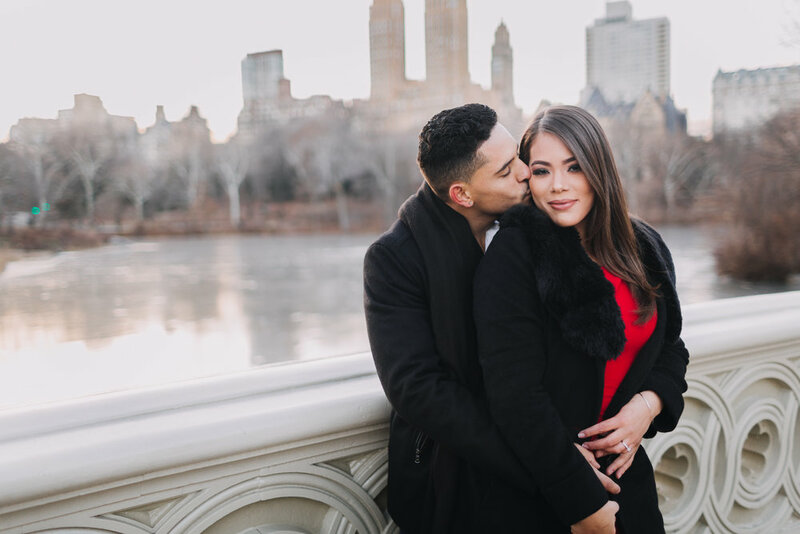 Our shoot was loads of fun - from the very start, this couple was energetic, loving and silly and we all just vibed together - it was almost as if we had known each other for years. There's something to say about a session that is so carefree and laid back as this one, things just happen naturally and the images are so pure and real that you can almost feel them in person. I'd like to say that their images speak volumes as to the love that Rosanna + Fleuris have for each other. 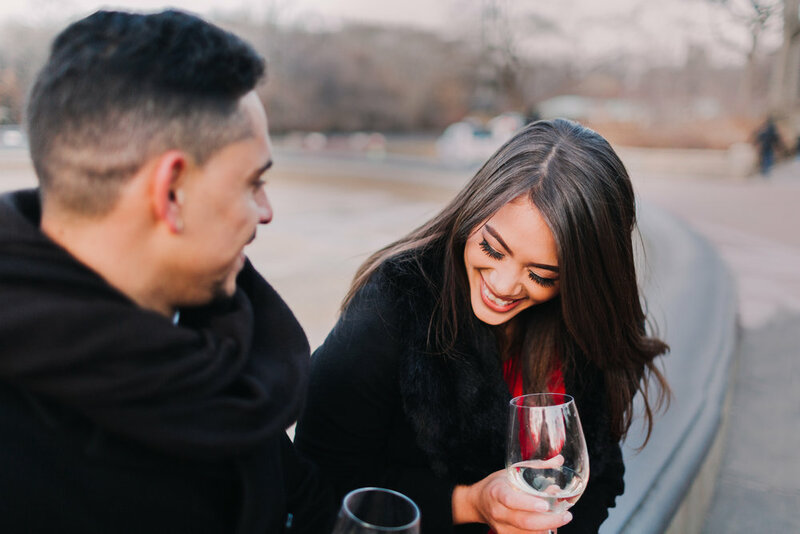 They are recently engaged and as they plan their engagement party and wedding, their love for each other grows with each passing day and it truly is so evident even to a stranger. They are silly together and the love they have for each other is noticeable in their smiles and eyes. We may not know each other for very long but I'd think it's safe to say, they are each other's comfort and best friends. 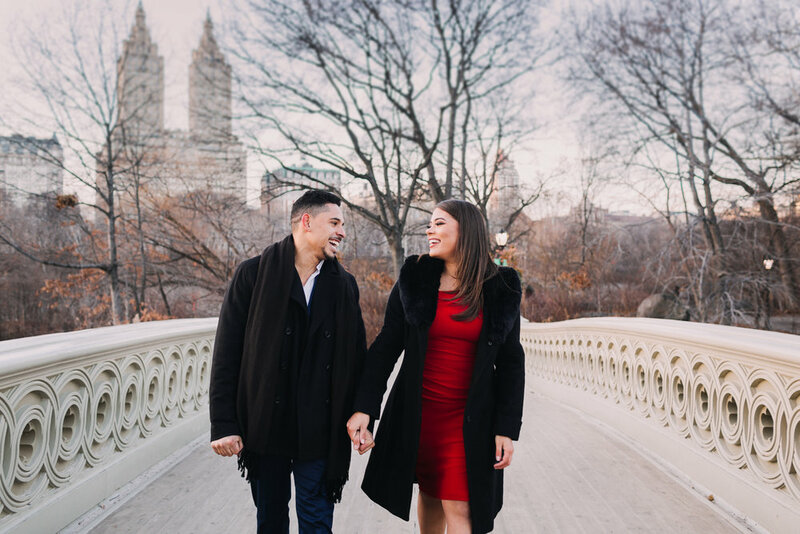 We want to wish Rosanna + Fleuris the very best of luck as they encounter this new stage in their lives together! Thank you for allowing me to capture this amazing time in your lives. Congratulations to the soon-to-be Bride and Groom!